Watch Kerala Blasters vs FC Goa Indian Super League ISL) match today live streaming on the official website of star sports. With a capacity of 80,000 spectators, the Jawaharlal Nehru Stadium Kochi will host the match between Kerala Blasters and FC Goa on 6th November 2014. The match will start at 7 PM. Legendary cricketer Sachin Tendulkar (Co Owner Kerala Blasters), Kerala Chief Minister Oommen Chandy and other invited dignitaries would be in the VIP seats to witness the home match. After making an average show off in the five away matches played so far, Kerala Blasters are now in their home town to play three back-to-back matches at the Jawaharlal Nehru stadium Kochi. Even though the team delivered below par performance in the early games, expectations from the side of football fans are on the peak as they made an entry into Kerala for the next few matches. The home team managed by David James will take on the Goa FC today at the Jawaharlal Nehru Stadium which has a capacity to handle 80,000 spectators. The Kerala team co-owned by legendary Indian cricketer Sachin Tendulkar had a roller-coaster ride in the ISL so far. Even though the team has shown great spirit and looks good in attack, the major concern for them would be the inability to score goals on target. The team went down fighting against a Mumbai City FC and lost the match through a solitary goal scored by former Chelsea striker Nicolas Anelka. Learning from the mistakes, Kerala Blasters would look forward to capitalize the advantage of playing before the home fans. David James, the former England goal keeper and the marquee player of Kerala Blasters keep high hope playing at Kochi. He thinks that the support and encouragement which will be provided by the supporters shall give the team an added edge to deliver good results. On the other hand, Goa FC coached by legendary Brazilian Zico is keeping huge expectations over his team. Goa FC made a true comeback after pulling off a stunning triumph against Delhi Dynamos registering their first win the tournament. As both teams are tied on four points from five matches, today's match will be much crucial for them. Even though both the teams gave their best in the tournament, the finishing remains a big concern. As the Kerala Blasters play their first match in front of home support, a tight encounter along with a visual delight can be expected. The match will commence at 7 PM while legendary cricketer Sachin Tendulkar (Co Owner Kerala Blasters), Kerala Chief Minister Oommen Chandy and other invited dignitaries would be in the VIP seats to witness the home match. Sachin's autobiography 'Playing It My Way' will be unveiled during the regular break of the match. 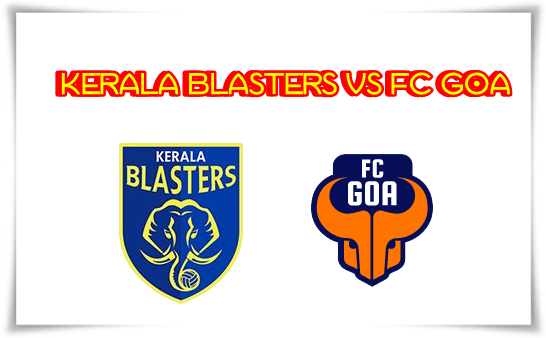 The match between Kerala Blasters and FC Goa can be watched online through the official website of Star Sports. Kerala Blasters Football Club is now on Facebook. Kerala Blasters football team owned by Sachin Tendulkar will participate in the Indian Super League (ISL) football tournament. The name was announced by state chief minister Oommen Chandy after his brief meeting with Tendulkar. Even though grew up playing cricket, Sachin enjoyed other sports like hockey, football and badminton. Sachin as a Rajya Sabha member has submitted his 'vision' to the Human Resources Development Ministry on promotion of sports.